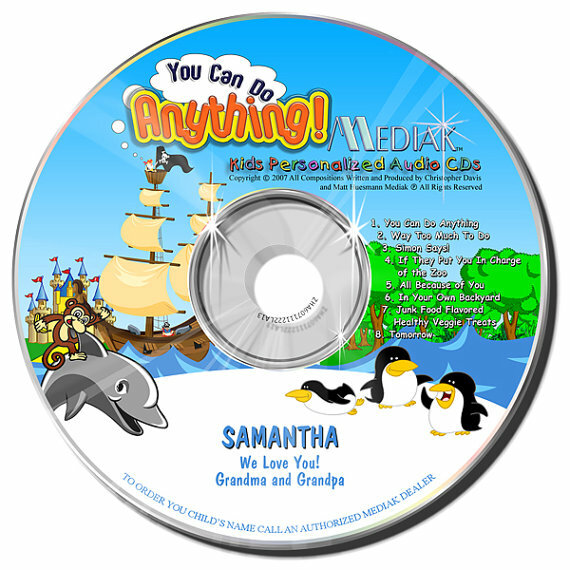 I was so excited when I was offered to review this personalized CD with my son Riley's name in it, Riley LOVES his name and especially seeing it written and hearing it said, we tried to give him a nickname but he insists on being called "Riley"
When the CD arrived I couldn't wait to let Riley hear it, so we put it on in the car on the way to the grocery store, the very first sentence has the name "Riley"! I looked in my rear view mirror and could see him smiling, he was so happy! The CD Contains 8 Songs. Your child's name is sung 106 times!! That's amazing! Bras! 80% Of Women are wearing the WRONG Size! Have A Pickey Eater? Try this. Big Brother Frog T-Shirt and T Shirt Giveaway! Did you know Game Stop has a Warranty Program?